Every Diwali we make the “Nuts” ladoos and the Deepavali “marundu”. Even though this year we are not celebrating Diwali, we continued the tradition and made both. 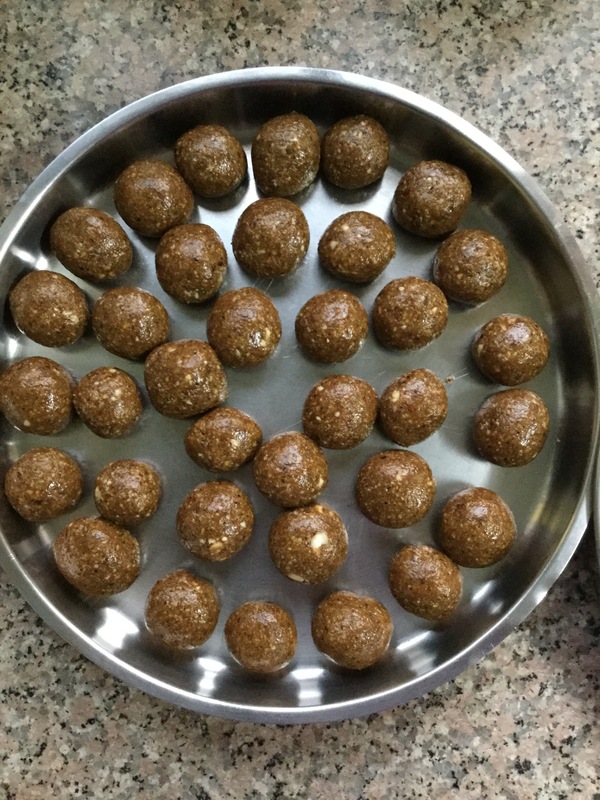 While the “marundu” was made with the spice powder that dad had made in 2007… the ladoos were made by me using my current obsession OPOS (One Pot One Shot). My dad would make these ladoos every year and then when he passed away, Amma started making them. I would only help in rolling them and of course in eating them up. 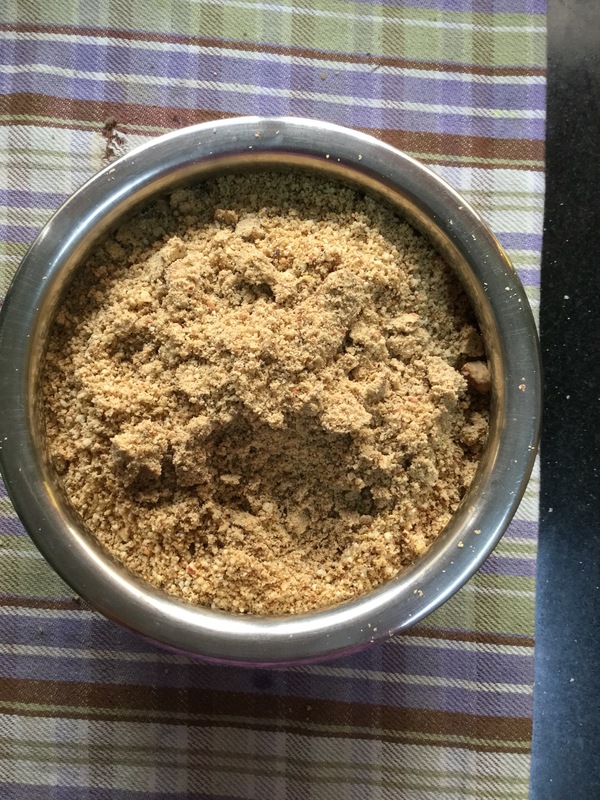 Amma would spend hours getting the sugar syrup ready, roasting the nuts and then powdering them. Today with OPOS – I made the sugar syrup in a Pressure Cooker in minutes and the whole process was so painless !! 400 gms jaggery and 1/2C Water in a Pressure Cooker – kept on high for 6 whistles. I had added 10 pieces of cardamom, powdered, while making the sugar syrup. I added 3 TBSPs of ghee on releasing pressure. These are really easy to make and the Indian version of a trail mix. No corn syrup and additives, completely home made. If you are interested in the Deepavali “Marundu” check my post from last year – Deepavali Marundu. Disclaimer – Please join the FB page OPOS school to understand the methodology. Please do not try using the Pressure Cooker for OPOS without going through the lessons.